Long-term vision for greater downtown’s four river corridors to strengthen economic development, protect the region’s natural heritage and support outdoor recreation opportunities. Five Rivers MetroParks has partnered with the city of Dayton and Miami Conservancy District to develop a comprehensive 20-year master plan for 12 miles of river corridor in greater downtown Dayton. The Downtown Dayton Riverfront Master Plan should be completed by summer 2018. Other project partners include Montgomery County, the Greater Dayton Regional Transit Authority, Miami Valley Regional Planning Commission and Downtown Dayton Partnership. The project area will include approximately three miles along all four waterways in greater downtown Dayton, reaching into every segment of the community. Each river corridor has distinct characteristics. The Great Miami River south to Carillon Historical Park: This river corridor presents numerous opportunities to connect downtown residents and employees, new and existing businesses, and existing anchor institutions — such as Sinclair Community College, Miami Valley Hospital and the University of Dayton — to the river and riverfront. The Stillwater River north to Wegerzyn Gardens MetroPark: Here, the river corridor can connect multiple parks and open spaces, such as Island MetroPark and DeWeese Parkway, for more comprehensive outdoor recreation and urban nature experiences. The Wolf Creek west to Wesleyan MetroPark: This river corridor provides an incredible opportunity to create an open space corridor that gives area residents fitness, nature connection and outdoor recreation options, as well as transportation alternatives along the paved Wolf Creek Bikeway. The Mad River east to Eastwood MetroPark: This river is increasingly serving as a back-door outdoor recreation opportunity for employees in Tech Town, as well as Wright Patterson Air Force Base and the growing neighborhood of downtown residents. In addition to cultivating urban vitalization, the Downtown Dayton Riverfront Master Plan benefits the Great Miami Riverway effort. The Great Miami Riverway is the new brand designed for a 99-mile stretch of the river corridor from Sidney to Hamilton. Eighteen cities and agencies recently partnered to build this strong, unified identity. The project will kick off Thursday and Friday, June 8 and 9, when Sasaki, the project consultant, will visit Dayton. The Boston-based design firm, well-known nationally and internationally, has worked on numerous urban riverfront projects around the world and in nearby Cincinnati and Indianapolis. Sasaki brings together expertise in landscape architecture, planning, urban design, and other fields to define places that bring beauty, joy, and sustainability to local communities. With deep understanding of the urban context, ecology, and public space activation, the Sasaki team will thoughtfully facilitate the development of an ambitious master plan to maximize the potential of Dayton’s greater downtown and restore a riverfront amenity for the people of Dayton and region. Celebrating more than 50 years of preserving green space and natural areas, Five Rivers MetroParks is a nationally renowned park system composed of natural area parks, gardens, high-quality river corridors, urban parks and a network of recreation trails. Five Rivers MetroParks protects the region’s natural heritage and provides outdoor experiences that inspire a personal connection with nature. Educational programs and recreational opportunities are offered year-round for all ages. Five Rivers MetroParks is accredited by the Commission for Accreditation of Park and Recreation Agencies. 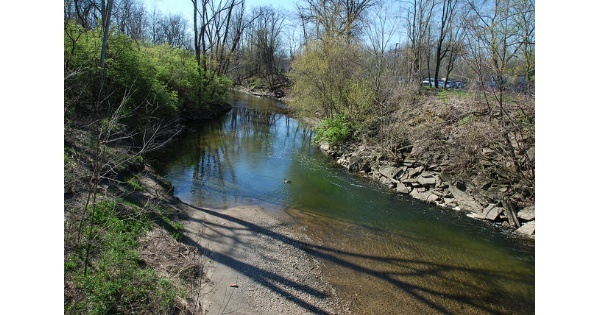 To learn more about Five Rivers MetroParks, log onto www.metroparks.org or call 937-275-PARK (7275).